FRESNO, Calif. -- Authorities say an air ambulance helicopter flying a patient to a hospital had to take evasive action to avoid a mid-air collision with a drone aircraft north of Fresno Yosemite International Airport. Federal Aviation Administration spokesman Ian Gregor tells the Fresno Bee the SkyLife helicopter owned by American Ambulance and Rogers Helicopters encountered the remote-controlled drone Wednesday afternoon about two miles north of the airport. American Ambulance president says the copter was flying at an altitude of about 1,000 feet when the pilot identified a drone flying directly toward them. Flight nurse Vince Ellis says the drone appeared to be four to six feet long, and came within about 15 to 20 feet of colliding with the helicopter. The FAA says encounters between drones and aircraft near airports have been an increasing problem. 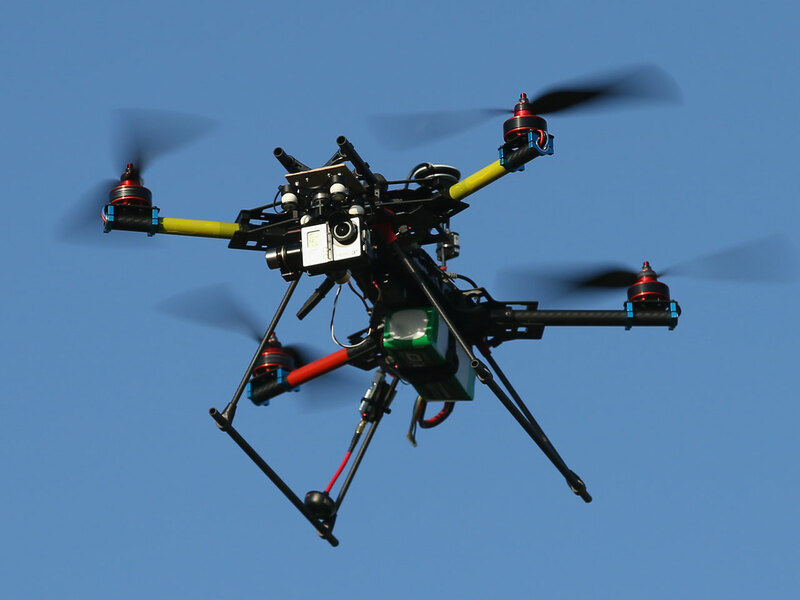 So far this year, pilots have reported drones flying near their aircraft at least 650 times, nearly triple all of 2014, CBS News correspondent Kris Van Cleave reported. In June alone there were 138 reports, up from 16 last year. This as demand for hobbyists drones, weighing anywhere between two pounds and more 50 has soared. Federal aviation administrator Michael Huerta described his level of concern about the number of drones that are up in the air right now. "The very, very small ones we feel represent much less of a hazard," he said. "We're much more concerned about the higher performance unmanned aircraft, those that are interacting in the airspace with commercial aircraft, with private pilots."